Historically, aristocratic and upper-class women's fashionable Western dress was created by an intimate negotiation between the client and her dressmaker. The investment in the design was principally in the cost of the luxurious textile itself, not in its fabrication. The origins of the haute couture system were laid by the late seventeenth century as France became the European center for richly produced and innovative luxury silk textiles. Thus the preeminent position of France's luxury textile industry served as basis and direct link to the development of its haute couture system. The prestigious social and economic value of an identifiable couturier, or designer's name, is a development of the late nineteenth and early twentieth centuries. Beginning in the mid-nineteenth century, the Paris-based haute couture created a unique fashion system that validated the couturier, a fashion designer, as an artist and established his or her "name" as an international authority for the design of luxurious, original clothing. Couturiers were no longer merely skilled artisans, but creative artists with identifiable names printed or woven into a petersham waist tape that was sewn discreetly into the dress or bodice. This was the beginning of designer labels in fashion. The client was required to visit the couture house where a garment was made to measure to high-quality dressmaking and tailoring standards. The couture house workrooms are carefully distributed according to sewing techniques. The sewing staff are divided between two areas: dressmaking (flou), for dresses and draped garments based upon feminine dressmaking techniques, or tailoring (tailleur), for suits and coats utilizing male tailoring techniques of construction. The staff work according to a hierarchy of skills ranging from the première, head dressmaker or tailor, to apprentices. The selling areas, salons, are equally controlled and run by the vendeuse, saleswoman, who sells the designs to clients and negotiates the fabrication and fittings with the workrooms. The British-trained tailor and dressmaker Charles Frederick Worth is commonly credited as being the "father" of haute couture. What was radical in the mid-nineteenth century was that a male was creating women's fashion, a situation that required intimacy between a dressmaker and client, and had previously been a female-dominated profession. Worth's designs also commanded high prices that were a substantial investment in the garment itself and his associated and recognizable design style. This significant shift established the profession of fashion designer of women's garments as a suitable and profitable one for men. Worth worked directly with the French silk weaving industry to access and promote the original, luxury textiles that were a signature of his production. His clientele included the nobility of European courts as well as the new haute bourgeoises who followed his advice on appropriate dress for day to evening wear. Worth and his contemporaries, particularly Doucet, introduced innovations that have become standards for haute couture establishments. They created luxurious Paris salons to which wealthy clients came rather than the couturier visiting his patrons at their homes; they created artistic designs from which clients could select and that were made to measure; they also employed live mannequins who modeled the designs for private individuals. Thus the haute couture system of luxury dressmaking production was created. In 1868, Worth instigated a new group called La Chambre Syndicale de la confection et de la couture pour dames et fillettes. This body, an outgrowth of the medieval guild system, was formed as a collective or type of union that could lobby and deal with issues related to labor, taxes, administration, and production for dressmakers. At this time there was little distinction between couture, clothing made to measure, and confection, ready-made clothing. In 1910, the two activities were clearly divided and the nomenclature la haute couture was strictly reserved for couture salons that produced collections for private clients, not solely for professional buyers. The newly named Chambre Syndicale de la haute couture parisienne outlined specific rules for membership that evaluated the creativity of designs and the quality of fabrication that had to be made to measure for the client, and also instituted regulations concerning the sale of designs and reproductions. The issue of copying and design piracy was of constant concern to the haute couture industry that relied upon exclusivity to retain design supremacy and its resultant high prices. The creation of PAIS (L'Association de protection des industries artistiques saisonnières) in 1921 by Madeleine Vionnet aimed to protect individual haute couture designs. Designs were photographed on a mannequin, front, back and side, and these documentary design records were registered with PAIS, thereby intending to discourage piracy and could be used as evidence if required. Allegations of design piracy were dealt with under the French penal code. This service was later taken over by the Chambre Syndicale in 1943. By 1930, the Chambre Syndicale established a formal calendar of fashion shows that were coordinated, consecutive, not concurrent, and able to accommodate the increasing numbers of foreign buyers and journalists to the collections. In 1929, the Chambre Syndicale de la haute couture parisienne established vocational sewing and design training in its associated schools under the Ministry of National Education. The school offered an apprenticeship of three years that began with practical sewing skills in the first year, garment construction techniques in the second, and women's tailoring and draping in the third year. Two more years were available to a select few thought capable of working as first hands within a couture salon and who could train heads of workrooms and potentially be creative designers. These schools and courses continue to operate in the early 2000s. In 1939, there were seventy haute couture salons. However, World War II (1939-1945) and particularly the German Occupation of Paris, created a crisis in the industry. The Nazis wanted to move the Paris haute couture industry to Berlin or Vienna, but the president of the Chambre Syndicale, the couturier Lucien Lelong, successfully negotiated to keep it in operating in Paris. After the Liberation of Paris the haute couture industry needed to recapture the North American buyers and manufacturers in order to reinstate France's historical position as the center of fashion design and also in order to rebuild a fragile economy and industry. Even before the war, the principal client was no longer the private client, but the commercial buyer and the attendant fashion press, and this situation was heightened after the war. This was clearly reflected in the schedule of showings of the collections set by the Chambre Syndicale that showed to the North American commercial buyers, then the European buyers, and finally to private clients. Postwar recognition of the importance of the Paris haute couture for fashion design leadership was internationally recognized after 1947 with the acclaim of the new house of Christian Dior (founded in 1945) by Carmel Snow in the American fashion magazine Harper's Bazaar. In 1945, the Chambre Syndicale introduced more rigorous regulations intended to further control the quality and prestige of the haute couture industry in the difficult immediate postwar years. Haute couture was divided into two classes: Couture, and the more prestigious Couture-Création. A haute couture house had to apply for membership that was reviewed annually. The application made by a couturier for the classification Couture-Création covered several areas: at least twenty-five designs had to be created in-house, spring and fall, and made up on a live mannequin. The collection was then to be presented on live mannequins, and in an "appropriate" setting in the haute couture house located in Paris. The rules also covered the technical execution of the original models, the repetitions to be made in-house to clients' measurements, the number of fittings required and at what stage in the making, and the sales of the designs. The 1950s were years of huge profits and press and the continuation and emergence of new haute couture salons. The most important, and largest, houses in terms of production were those of Christian Dior, Pierre Balmain, and Jacques Fath. The postwar years continued and consolidated the prewar situation that was shifting the economic basis of the houses from private sales to the commercial buyers. The large market for haute couture was as a design source. Couture was copied and adapted to limited editions, or line for line copies, a process that began in the 1930s, as well as for mass-market fashions. Haute couture houses sold the original models as well as toiles (muslins) and paper patterns, all of which was regulated by the Chambre Syndicale. A couturier's design was usually first created in inexpensive muslin, called a toile, so as to perfect the design, cut, and fit. These toiles record the exact cut and sewing techniques, and include samples of the inter-linings, linings, and fabric required in the final garment. Paper patterns were also used to replicate designs. This situation stimulated many new initiatives from the Paris couture to control their designs and for the design houses to directly profit from them. Christian Dior began his own licensing arrangements with Christian Dior, New York, and Jacques Fath entered into the American ready-to-wear market with Joseph Halpert. Increasingly couturiers opened boutiques within their couture salons in order to sell less expensive versions of their haute couture lines as well as accessories, a development begun by Paul Poiret in the early twentieth century. The society Les Couturiers associés, founded in 1950 by Jacques Fath, Robert Piguet, Jean-Marc Paquin, Marie-Louise Carven, and Jean Dessès, was a precursor to the creation of prêt-à-porter designed by couturiers who sold readymade designs to French department stores. A similar initiative, Le Prêt-à-porter Création (1958-1962) was directly aimed at international buyers and press. It ceased as ready-to-wear collections by couture houses became firmly established. However, the successful governance of the Chambre Syndicale over the couture houses, and its huge success during the 1950s is reflected in prosperity of the haute couture that in 1959 exported garments worth 20 million francs, and 3,000 workers were employed on a full-time basis, totaling 100,000 hours per week for most of the year. The craft base of haute couture was financially difficult to maintain in an increasingly industrialized society. The numbers of couture house fell from 106 in 1946 to 19 by 1970. The establishment of quotas and high custom duties resulted in radical declines of haute couture exports and served to intensify the commercialization of rights for reproduction and licensing agreements. In 1953-1954, Pierre Cardin presented his first prêt-àporter collection and made it a separate department within the house in 1963. In 1966, Yves Saint Laurent created Saint Laurent Rive Gauche, the first freestanding couture boutique. Sociocultural shifts and an emphasis on youthful fashion instead of designs for mature women caused the breakdown of uniformity in the women's wear market, and resulted in the haute couture's departure as the only or leading source for international fashion design. The more profitable ready-to-wear market necessitated new initiatives for the haute couture houses, which began to create new, less expensive noncouture lines marketed with labels associated with the prestige of the haute couture house. The 1970s and 1980s were years of crisis and reconstruction for the haute couture, as the United States was no longer the primary market that it had been since the 1930s. In 1973 the Chambre Syndicale de la couture parisienne joined with the Prêt-à-porter federation, and became La Fédération français de la couture, du prêt-à-porter des couturiers et des créateurs de mode, and in 1975 joined with the Fedération de l'union nationale des artisanale de la couture et des activités connexes. In the early 2000s the organization has approximately 500 members and promotes French fashion at home and abroad. The consortium of French luxury products led by the group LVMH (Louis Vuitton Moët Hennessy) created by Bernard Arnault, bought out the leading names of the haute couture. In the early 1980s, Christian Lacroix renewed the 1930s house of Jean Patou, where he was artistic director from 1981 to 1987, and Parisienne haute couture was front-page fashion news as it had been in the 1950s and early 1960s. Karl Lagerfeld designed for Chloé and resuscitated the house of Chanel by cleverly employing all the Chanel hallmarks of design (logo, chains, cardigan suit jacket, loose tweeds, and so forth) and updating them for a younger market. The designer signature and logo became ubiquitous and familiar on an enormous range of products from fashion to home furnishings. Once again haute couture was worn and promoted by international celebrities and equally famous and highly paid super models. In 1987, Arnault invested millions in the new haute couture house of Christian Lacroix, which had a similar impact on the revitalization and public interest in the haute couture industry that Marcel Boussac's investment in the opening of the house of Christian Dior had immediately after World War II in 1946. During the 1990s, LVMH purchased Dior, Lacroix, Givenchy, Celine, Kenzo in a restructuring aimed at reclaiming French fashion design leadership, which had been overtaken by Italian and Japanese high-end ready-to-wear fashions. Celebrity designers were selected to design the Paris haute collections. Claude Montana worked for the house of Jeanne Lanvin from 1990 to 1992, and young, radical, Brits John Galliano and Alexander McQueen designed for Givenchy. In 1996, Galliano was placed as the chief haute couture designer for the most prestigious house of Christian Dior as a replacement for Gianfranco Ferre. Few couture houses have kept their independence in an increasingly global and conglomerate economy. The houses of Pierre Cardin, André Courrèges, Patou, and Phillipe Venet all ceased haute couture production, leaving only eighteen haute couture establishments by 1996. The 2002 retirement of Yves Saint Laurent closed one more establishment, but the new couture collection of Jean Paul Gaultier resulted from success as a ready-to-wear designer, a twenty-first-century inversion of the couture tradition. In the early 2000s the business of haute couture is viewed as a costly and luxurious design laboratory that attests to and sustains France's international cultural position as a taste leader. Though haute couture posts enormous financial losses and produces less than 10 percent of the French clothing industry, the salons garner fantastic international press and prestige for the house name, which fuels lucrative licensing agreements for ready-to-wear collections, perfumes, accessories, and domestic products. See also Pierre Balmain; Pierre Cardin; André Courrèges; Christian Dior; Jacques Doucet; Karl Lagerfeld; Alexander Mcqueen; Jean Patou; Charles Frederick Worth. Antoine-Dariaux, Geneviève. 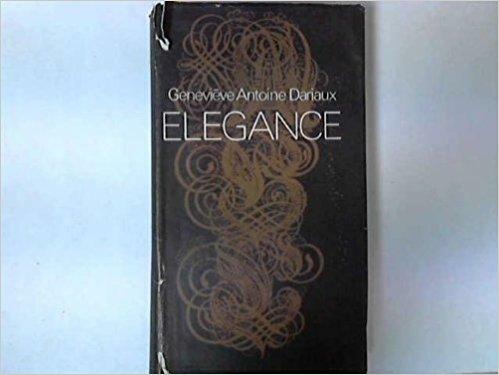 Elegance: A Complete Guide for Every Woman Who Wants to Be Well and Properly Dressed on All Occasions. Garden City, N.Y.: Doubleday, 1964. Christian Dior. Dior by Dior. Translated by Antonia Fraser. London: Weidenfeld and Nicolson, 1957. Fraser-Cavassoni, Natasha, and Jennifer Jackson Alfano. "Couture's Big Spenders." Harper's Bazaar, October 2002, pp. 88ff. Grumbach, Didier. Histoires de la Mode. Paris: Seuil, 1993. Lynam, Ruth, ed. Couture: An Illustrated History of the Great Paris Designers and Their Creations. New York: Doubleday, 1972. Palmer, Alexandra. Couture and Commerce: The Transatlantic Fashion Trade in the 1950s. Vancouver: University of British Columbia Press, 2001. Picken, Mary Brooks. Dressmakers of France: The Who, Why and How of French Couture. New York: Harper and Brothers, 1956. Steele, Valerie. Paris Fashion: A Cultural History. New York and Oxford: Oxford University Press, 1988. Veillon, Dominique. La mode sous L'Occupation: Débrouillardise et coquetteries dans la France en guerre (1939-1945). Paris: Payot, 1990.